New Year’s Resolutions – Knitting Wise Of Course! ﻿﻿﻿﻿Happy New Year Everyone! What are your knitting resolutions and goals for 2011? I have lots planned for my needles this year! 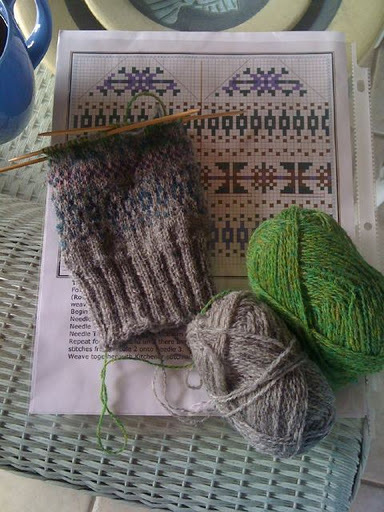 First up, NaKniMitMo – a Ravelry group for National Knitting Mittens Month. Mittens I’d like to knit include Hermione’s Mittens and Norwegian Selbu Mittens. Of course, I’d also like to do another pair of Irish Hiking Mittens. I actually started the Hermione Mittens a few days ago and, so far, I’m doing okay with the colorwork and the chart reading! Hermione Mittens from http://www.ravelry.com/ – In progress! ﻿﻿﻿﻿﻿I found yarn at KnitPicks and I’m going to use City Tweed DK Yarn in Splash. I’ve already ordered the yarn so shhhh! I may get started a little early. The Knit-a-Long officially begins January 10th! 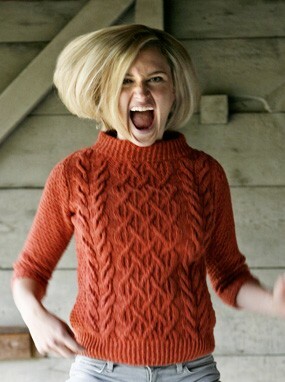 So, what’s on your 2011 Knitting List? Share Here!! !